This week I made the kids a quick and easy little activity for the holiday. We recently put our tree up and if it was up to them we’d get to decorate it everyday. So with this Christmas tree activity they can decorate their own tree as much as they want! 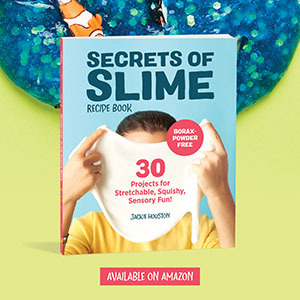 This is perfect for waiting for dinner, in the car, or as a quiet time activity. 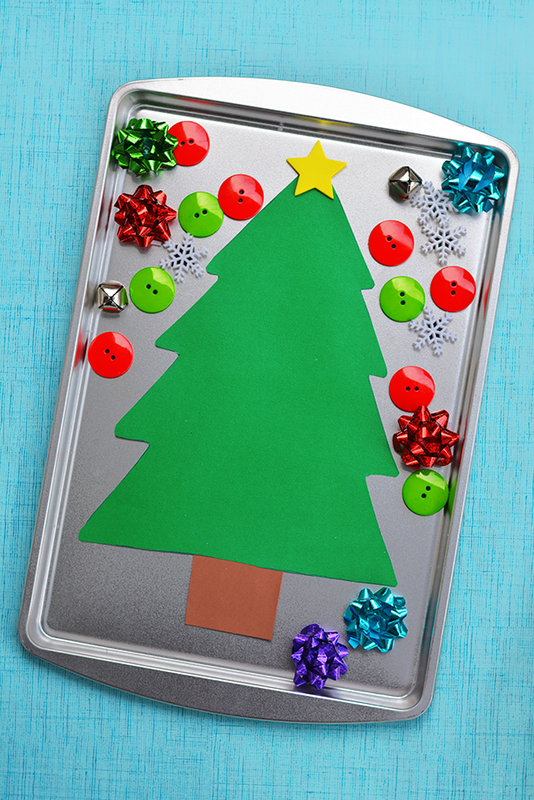 Grab a small $1 cookie sheet and some small items to use as “ornaments” to make this easy Magnetic Christmas Tree Activity! 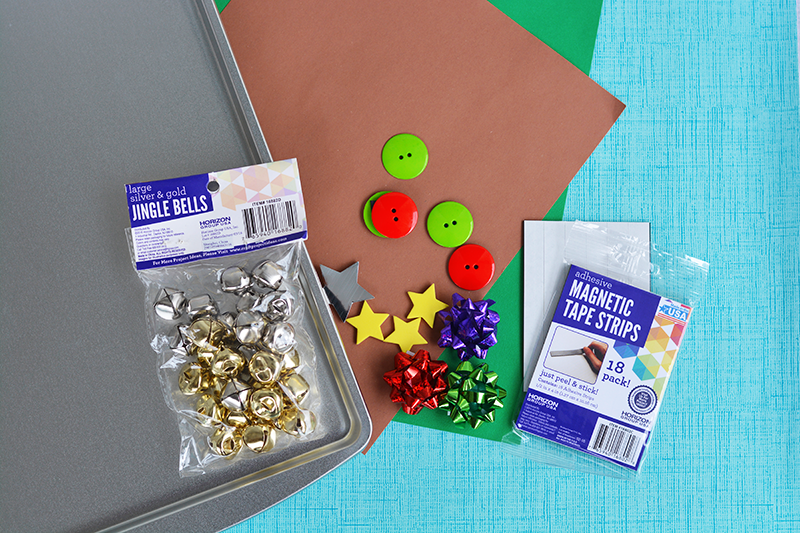 First gather all of your supplies for your Christmas tree activity. All of our Christmas “ornaments” were around $1 each, we picked out things like buttons, bells, mini bows, snowflake buttons, and foam stars. The possibilities are endless for what you’d like to use to decorate but just make sure to keep the items small enough for your small cookie sheet. 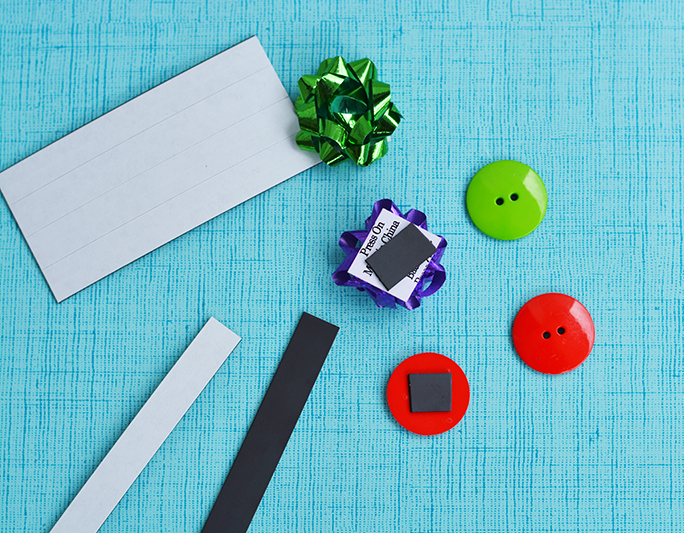 Once you have all of your small items picked out you’ll want to cut out your magnetic strips into smaller pieces and hot glue them to your ornaments. 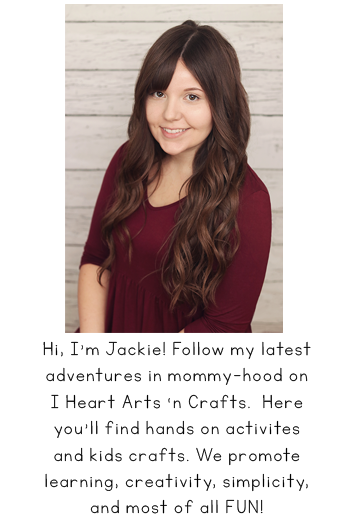 You’ll notice I have adhesive magnetic strips in the picture, I did use those but I also hot glued them to make sure they stayed in place because the adhesive wasn’t very sticky. 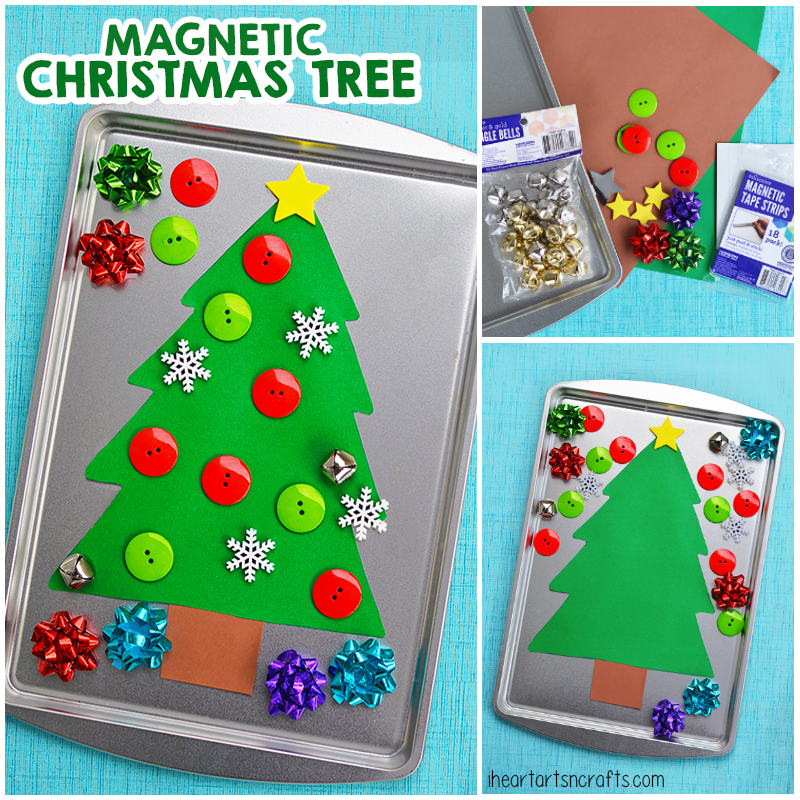 Next cut out your Christmas tree using the green and brown paper and glue your magnets to the back of them. 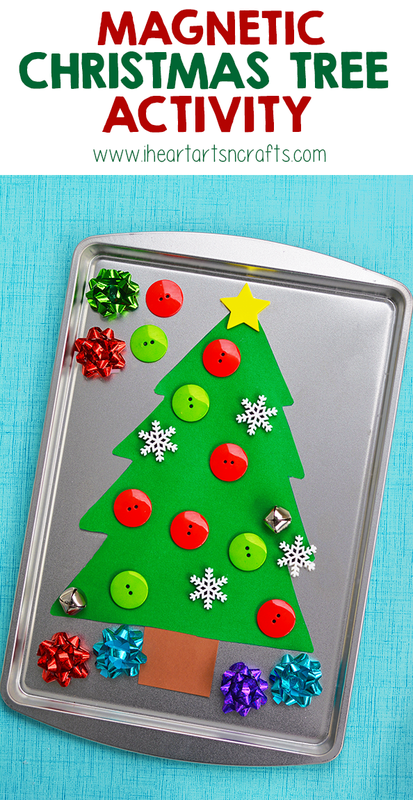 Then you can place your Christmas tree on your cookie sheet and start decorating!